Jamaican International BMXer and the Krash Test Dummy Stunt Team are crowdfunding to build BMX ramps and to provide island youth with access to BMX riding equipment and training. Richard Lecky, also known as A-Wire, is a pro BMX rider from Portmore, Jamaica - a populous suburban community next to Kingston. He is on a mission to grow the sport of BMXing in Jamaica and to be the first to represent his country in the 2013 X Games BMX Freestyle events. He is adding extreme sports to the local mix of football (soccer), cricket, and track and field on the island. Although Jamaica is known for world-class athletes, the island has little access to BMX bikes, safety gear, and training facilities. 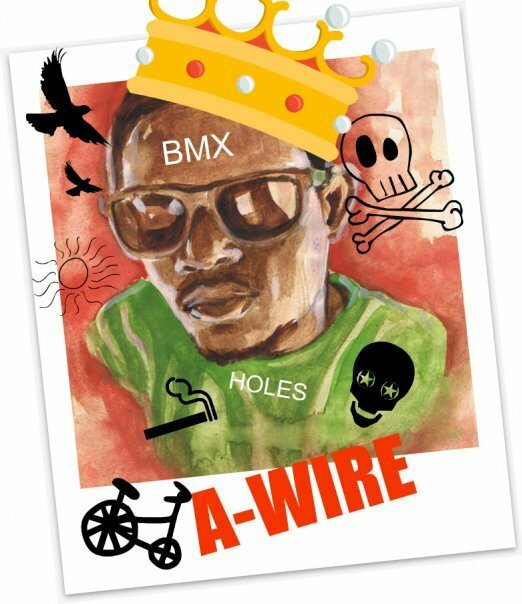 So to help make a difference, A-wire and his crew are teaming up with Select 6 to reach out to their countrymen and fans, locally and abroad, to help "crowdfund" the $15,000 USD it will cost to build additional training ramps, public programs, and provide community access to BMX bikes, spare parts, and safety gear. The “KTD Project” is the name of the online fundraising campaign that A-wire is spearheading on Select 6, a new crowdfunding website and startup accelerator featuring minority, women, and veteran (MWV)-led projects. A-wire and the Krash Test Dummies aim to build Jamaica’s first BMX Park. Specific rewards for endorsing the KTD Project include downloadable action shots and videos of A-wire and his crew, KTD tee-shirts signed by X Games freestyle skier and multi-gold medalist, Tanner Hall, plus corporate branding on the ramps they build in Jamaica. “We hope this project will be the first step of many to help build the sport locally and to nurture the young talent of Jamaica,” Awire expressed. He has already brought much attention to the sport and the island with his high-flying wheel-turning stunts, and performances with his talented crew. His talents and style is making him a growing cultural icon on the island. He started riding when he was 15, and though that's not an early start, he has honed his natural talents and athleticism to a level where he is training and performing alongside some of the world's best extreme sports athletes. A-wire recently participated during "Inspired Week" held at Camp Woodward, Lake Tahoe, where he and 9 other world-class action sports pros helped to train a camp of 2,000 younger riders, skaters, and skiers. There A-wire also worked on his training and techniques, notably practicing front flips from a 30 ft ramp spanning a 60 ft foam pit. KTD is the first and premier BMX team on the island with features in both local and international news, appearing on MTV series Nitro Circus, showcased as the best BMX riders from the Caribbean. Select 6 is the first crowdfunding website with a startup accelerator and online media channel featuring minority, women and veteran-led (MWV) startups and projects. Highlighting big ideas and great projects to help entrepreneurs and innovators find their wings - 6 adventures at a time! The mission of Select 6 is to help MWV-led startups create success stories in the marketplace and community; To share the education, experience and entertainment that is entrepreneurship & innovation with the public; To create sound investments in promising startups that can scale and expand.